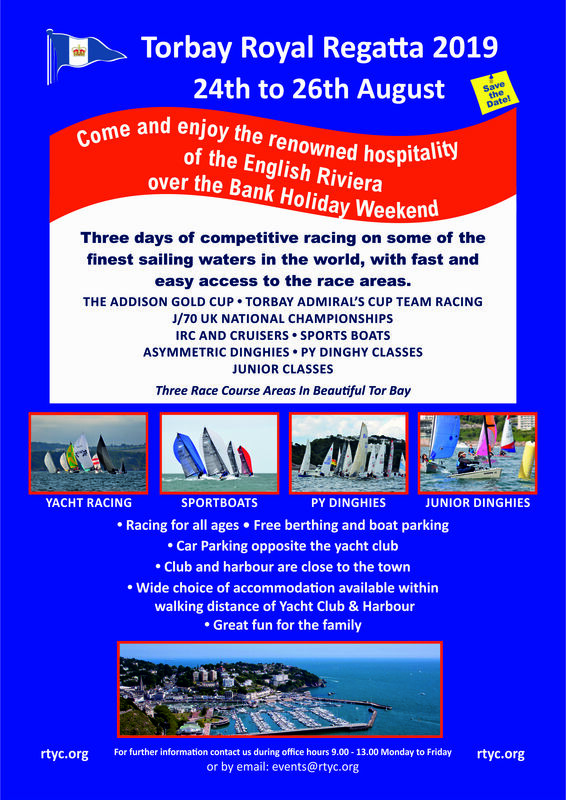 Torbay Royal Regatta has been taking place for over 200 years and is one of the highlights of the sailing and social scene in Torquay, over the August Bank Holiday Weekend. As one of the premier sailing regattas in the South West, the event remains as popular as ever and this year promises to be another great occasion with over a 100 yachts and dinghies expected. The regatta offers competitive and fun racing over three days Saturday to Monday for IRC Yachts, Cruisers, Sportsboats, Asymmetric /Non-Asymmetric, and Junior Dinghies. This year will see the event further enhanced by the presence of the J/70 UK Class for their National Championships. The regatta is renowned for its cordial hospitality and great shoreside entertainment during.